We work closely with Independent software vendors (ISVs) and software service companies, offering them state-of-the-art quality assurance software testing services. Any software life cycle Quality Assurance (QA) and testing are extremely crucial and should be implemented methodically from the earliest stage of the project. Quality assurance services have gained considerable significance in these times where outsourcing and offshoring is an established practice. The need for independent arbitrators is more pronounced and perceptible now. 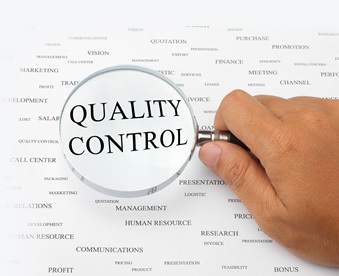 ANGLER has been offering QA services to its satisfied customers across the globe. ANGLER has expertise and experience in various testing software and technologies. Our testing team includes experts who are proficient in manual and automated testing. Our software testing services are designed specifically to meet client’s needs. We have put together best practices into a structured testing methodology and is capable of delivering cost-effective, bug-free solutions using the blended delivery model. Our expert test engineers will leave no stone unturned in the search for bugs that could interfere with the software / product. In fact, you can count on our refined skills and process to catch bugs earlier rather than later, saving you considerable expense. In the development process, the test effort will be focused by different software development models. We use methodology of Agile, by which an increased portion of the testing is directed in the hands of the developer before it reaches a team of testers. Hence, the product goes through various testing stage before being deployed.